"Age of Innocence" will be exhibited in the The American Book Expo at the African American Pavillion in New York. I am working on two trailers for my urban fantasy, "Foreshadowers". The first trailer will be for the entire book series and the second one is for first book in the series, "Foreshadowers: The Seeker of Legends". I have completed two books and they are: "Purpose Lies Within: A Motivational Book for the Heart and Soul" and "Foreshadowers: And the Book of Legends" (Book 2). 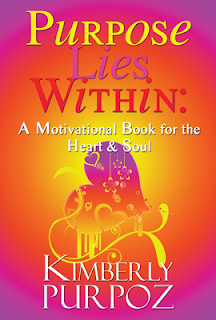 My motivational book and the second book to the Foreshadowers series are being edited by my editor. I will keep you all posted. I am currently working on four manuscripts. My urban fiction the second book to the Nia Trilogy has 30,100 words, my paranormal romance is 22,324 words, my contemporary romance is 620 words, and I just started on Foreshadowers (Book 3). Last month while I was at the hospital with my son, I came across this wonderful article about this author who had walked out on faith and pursued her dreams publishing her books. She did not wait on a publishing house to pick her up but instead she decided to do it herself. Amanda Hocking sold over 450,000 copies of her book and had gotten recongnition for her work. Below is a link to the a cool article about her on USA Today. I posted this link a while back on my Facebok Page. My editor and I completed the revisions for "Foreshadowers: The Seeker of Legends". Messenger Books re-released Foreshadowers and it is now available on Smashwords.com and Kindle.com. This month Age of Innocence will be exhibited at the African American Pavillion at the American Book Expo in New York. Foreshadowers: The Seeker of Legends has been Re-Release by Messenger Books and is now available on Smashwords.com and Kindle.com.